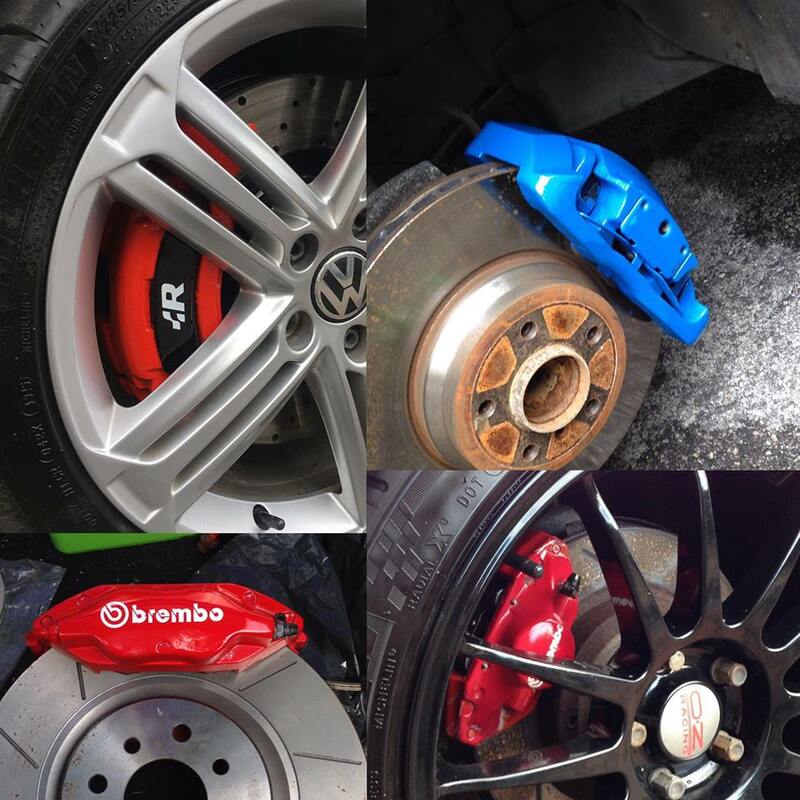 We offer a brake caliper painting service and will paint your calipers in any colour you wish. We jack up the Vehicle and place it onto axle stands. We then remove the wheels so we can start the cleaning process of the calipers and hubs. Once we have cleaned and prepared the calipers we then start the application of the high temp enamel based paint (in any colour of your choice) to the caliper & disc hub. 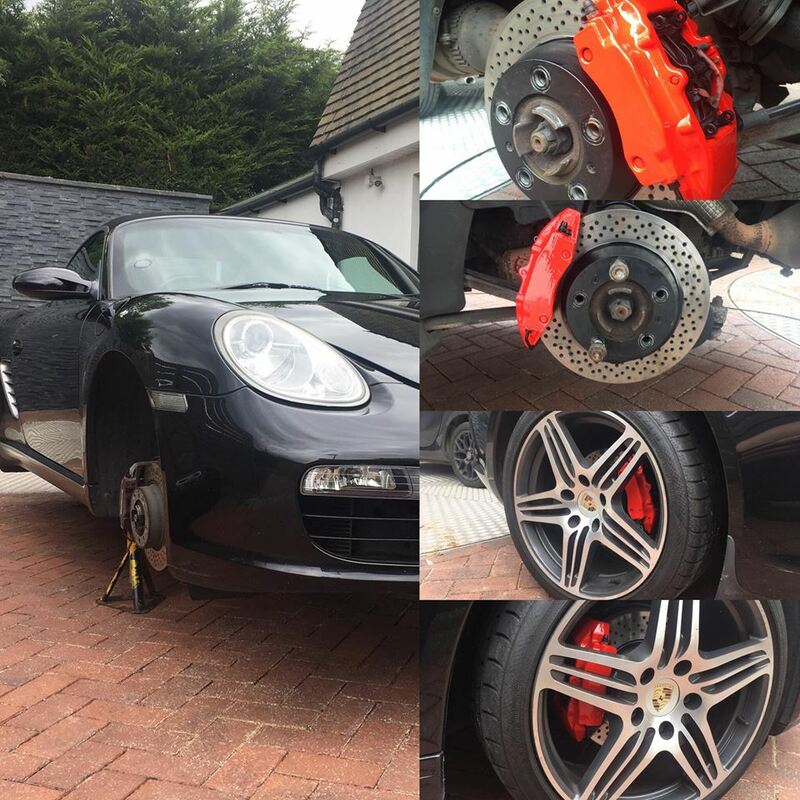 We will apply a minimum of 3 layers of paint to each caliper to give them a high gloss smooth finish. When we have finished the painting process we replace all wheels back onto the vehicle and and torque wheel nuts/bolts back to manufactures specifications. We then lower the car and the paint will be dry within a few hours.